Each summer right outside the coast of Vava'u, Tonga, Humpback whales group in their tropical breeding grounds. I went to photograph these majestic animals. 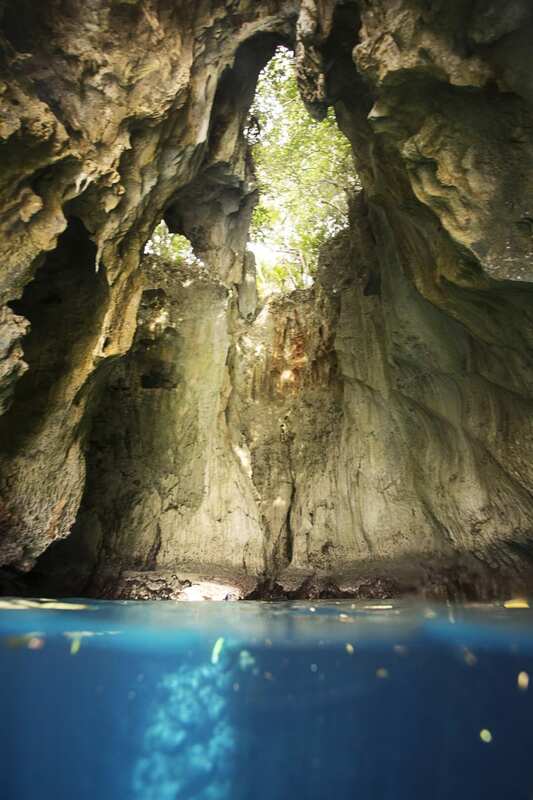 Many of the big islands of Tonga made of mainly limestone and there are many caves. This one has an opening allowing sunlight into it. 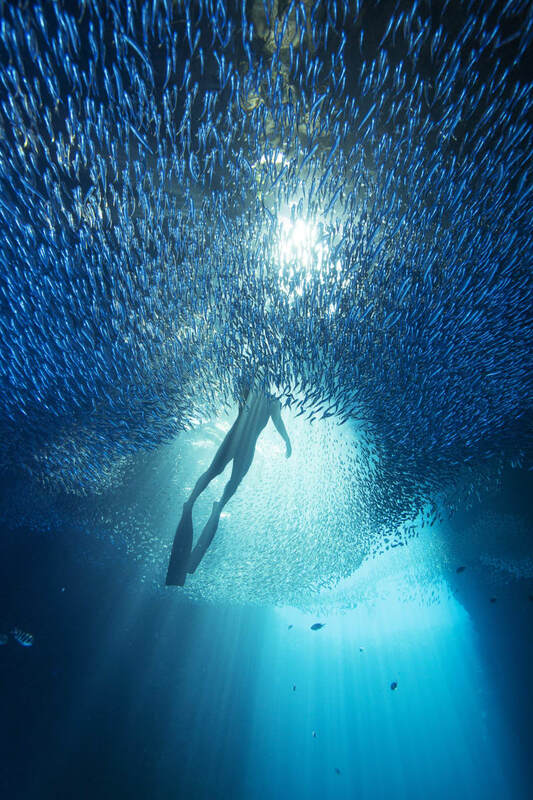 These shots are from a cave called Swallows, I swam using scuba equipment and my whale spotter and swim partner Falanisi Tongi is in the pictures freediving. The whales were in the same area for a while, moving fast, changing direction, breaching, going up, blowing bubbles, slapping their tails in the surface – basically lots of action. It took me four days to get to Vava'u due to bad weather. This also made it difficult to spot the whales, with strong winds, big waves and swells stirring up the sea impairing visibility. Eventually I started spotting some of the infamous sea-life, including Spinner dolphins, Pilot whales and finally Humpbacks. There were several adult males alongside pregnant mothers and calves. The males move fast often changing direction, breaching, blowing bubbles and slapping their tails on the surface. The best way to describe this is to imagine a snow-globe (with whales) being shaken. I continued my journey to Fonuafo`ou, an uninhabited island approximately 90km north of Tongatapu (mainland Tonga). I camped on the remote island overnight in solitude, I was completely removed from everything. The island is a haven for birds that live in the small central thicket, which is surrounded only by a few meters of sandy beach. 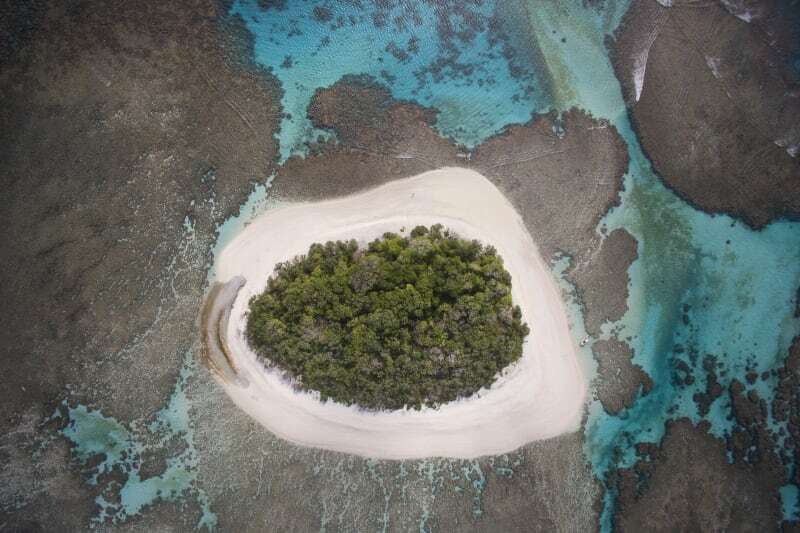 The shallows that encompass the island lead into a reef full of fish, including reef sharks. Article previously published in The New York Times magazine. Staying at the surface, I managed to stay with the whales long enough to focus and get a few shots. The best way to describe this is thinking of a snow-dome (with whales) being shaken. A group of pilot whales passed under me at a point when I was already in the water. They are very rare to see and we were the only boat to see any during the past whale watch season. We saw eight male whales showing off in front of a female, it is called a heat run - they blow bubbles and jump in and out of the water, and it really limits visibility. I was in the middle of this chaos for about 20 minutes; if you ever wondered what it is like to be the mosquito in the room, this is it. I was freediving with the wales as it is not allowed (and can be dangerous) to scuba with them. Klaus Thymann is an award-winning photographer and film-maker, he works across media and delivers stories and content to The New York Times, The Guardian, CNN and others. Det klassiska italienska märket Alfa Romeo har verkligen genomgått en uppryckning de senaste åren. Modellen Stelvio är en av de modeller som fört märket framåt, med fyrklöveremblemet på sidan. Geneves Motorsalongen slog upp dörrarna för allmänheten den 7:e mars och var som vanligt fylld med läckerbitar på fyra hjul. Enliven var självklart på plats för att rapportera om det bästa. Här kommer en lista på de tio som utmärkte sig mest från årets mässa. There are many fun ways of building cars. One of the more difficult ones is when you choose to go with front-wheel drive. Enliven tested this hot-headed Korean machine on Gran Canaria. A journey through downtown Seattle. Embrace spring with monochrome and pastel or earthy colors. Josean Alija is the chef behind the star pub Nerua in Bilbao. His signature is a kitchen based on tasty broths. We met Josean to talk about the importance of identity, the Basque sauces and the motorcycle accident where he lost his sense of taste and smell.